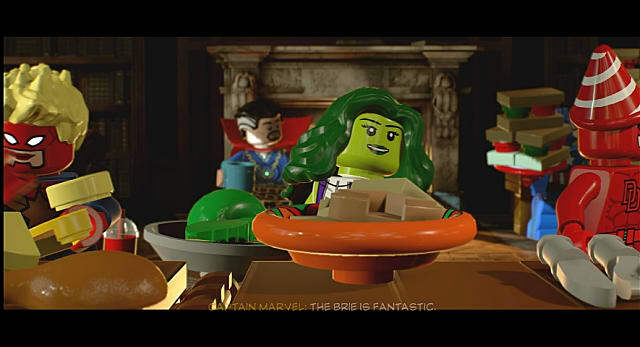 To say that the original LEGO Marvel Super Heroes game was a success is like describing the sinking of the Titanic as "hitting a rough patch." And to say that fans have been looking forward to a second game would be operating at a similar degree of understatement. The first LMSH game came out at a time when the movieverse was really beginning to pick up speed. 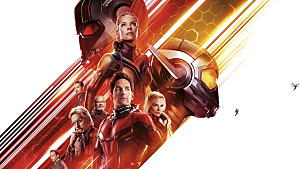 Phase One was just wrapping up, Joss Whedon's The Avengers had just come out the year before to rave reviews, and people were high on the idea of getting more. 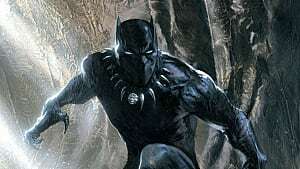 General Marvel goodwill aside, the movies gave game makers an unbelievably rich vein of character and storyline material from which to draw. 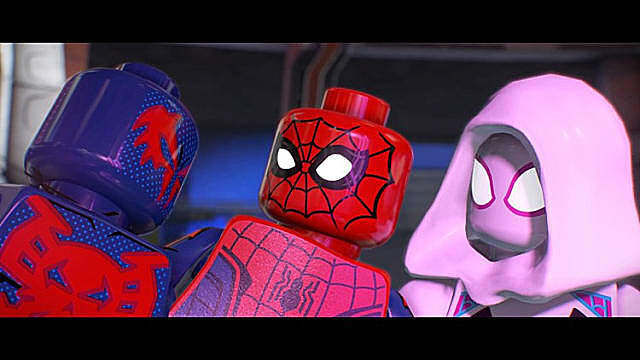 As another upside, they created an entirely new audience upon which to unleash all the charm and whimsy of LEGO. It's not a coincidence that every time you have a success, something of equal caliber is slated to follow it every few years later -- in games as in Hollywood and popular fiction. The idea is that if it works, why break it? And that kind of philosophy does hold true ... for a while. 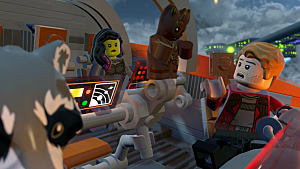 LEGO games have had a fairly similar format for more than 10 years (if you go by the release of smash-hit LEGO Star Wars back in 2005 for reference), with a charming mix of boldly colored worlds, fun characters, simple puzzles, and the gleeful destruction of everything in sight. 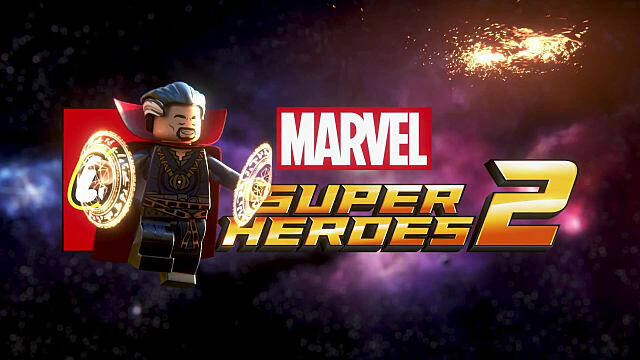 LEGO Marvel Super Heroes 2 may be finally stretching that formula almost to the point of mediocrity. The Characters: Who Am I? Why Am I here? It's a bit of a double-edged sword to push out a game with an enormous cast -- which LEGO Marvel Super Heroes 2 does, boasting over 200 characters in the base game alone, with more promised to follow in upcoming expansion packs. 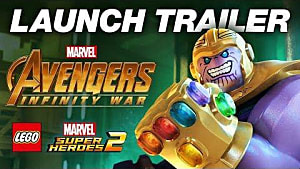 At once, it's a selling point stuffing as many characters as you can think of into this game, and at the same time, something of a responsibility. People have favorites. Bringing them into the party is an unbelievably cool draw, especially if they're not exactly the canonical headliners in their particular universes. But if their entire purpose for being there is simply to be there, then it begins to feel they're there just to fill in space in the box. 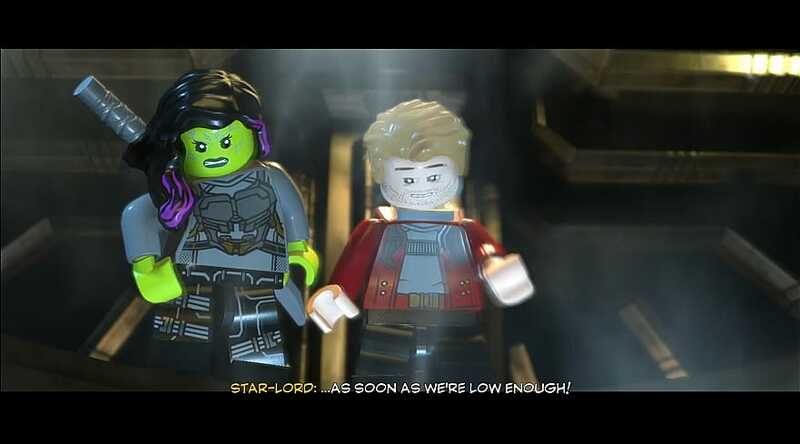 Take Gamora for an early-game example: she's as feisty as a LEGO as she is in Guardians, her skillset feels fresh and a little different from her appearance in the first game, and she's still just as unlikely to put up with any of Drax's ridiculousness. But as far as the gameplay and the puzzling goes, she could honestly have been missing entirely and you would have never noticed. Admittedly, she's a little more fun when you throw her into close-action combat and pit her against your friends in Multiplayer Battle Arena, but for the most part, you'd really only pull her out during questing or wandering around the open world if you really like her and/or you've got a little one playing co-op with you who just wants to someone to smash up boxes with while you're busy completing puzzles. Thankfully, you still have lots of characters who transcend general cookie-cutterness. These get at least a few catchy one-liners, have loads of personality, and/or are the ones with the special skills uniquely fitted to puzzle-solving (or just running and flying really fast). 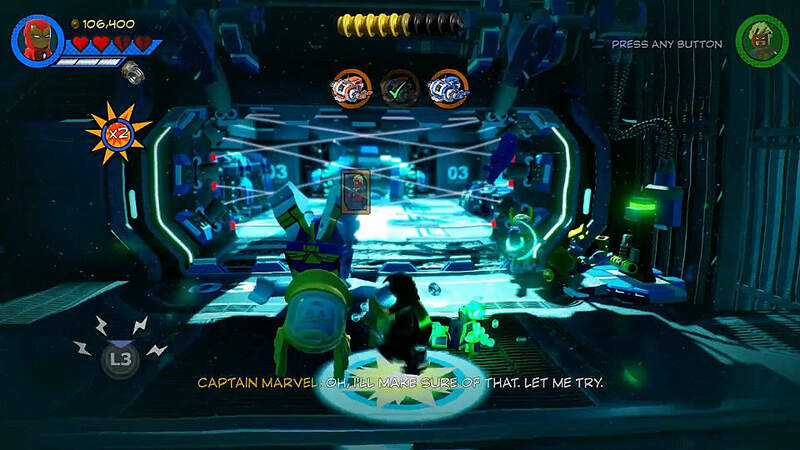 LMSH2 brings a few new updates to the table -- namely, an overhauled character customizer that allows you to pick and choose essentially every part of the minifig and also the abilities it can use (provided you unlock each of the customizations available during gameplay). But the meat and potatoes of the gameplay remains the same -- punch, punch, smash. 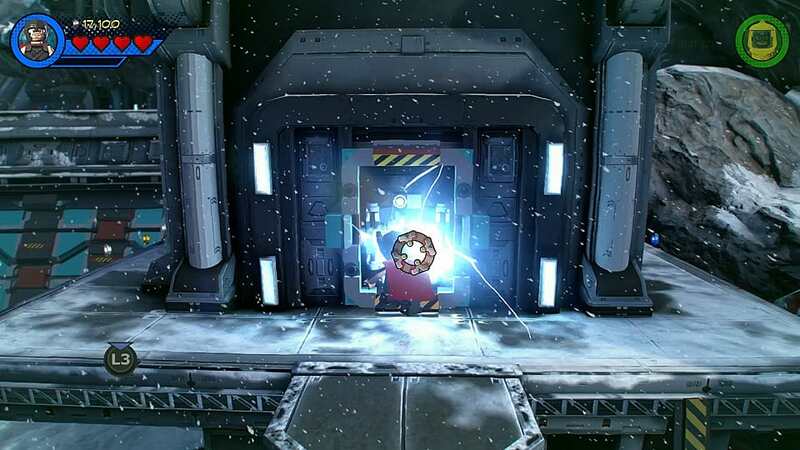 You need to solve little puzzles to progress the story, usually by punch, punch, smashing something enough for you to build back up in a new and different way. But you will also need to swap around between characters in order to use different special abilities to progress. It can be a little awkward to swap to the character that you want. You're quite likely at some point to swap between two characters a few times before finally moving over to the one you really want, plus you've got more than one button that can initiate a swap. This isn't exactly a new problem, but it can be an annoyance while you're swapping between characters and the one you've lost control of happens to have wandered off the objective in the meantime. Controls for the characters themselves are pretty intuitive and straightforward. All of the characters that can fly (or swing around on webs) can be controlled vertically using the right joystick, whereas movement and actions require the left joystick and the right button pad. On-screen directions advise you quite admirably if you need to initiate a puzzle sequence step; however, you'll have to remember that a long press of the same button will just make your character do something else (e.g. throw a bomb, boogy down to some cassette tape music, etc.). It can, however, be a little difficult to aim your attacks -- you will definitely find yourself punching and kicking your fellow teammates (occasionally to pieces!) by accident when you're aiming to lay the smackdown on a boss or a breakable. Not that there are any consequences for doing this. Your friends will come back. And if you die, so will you. 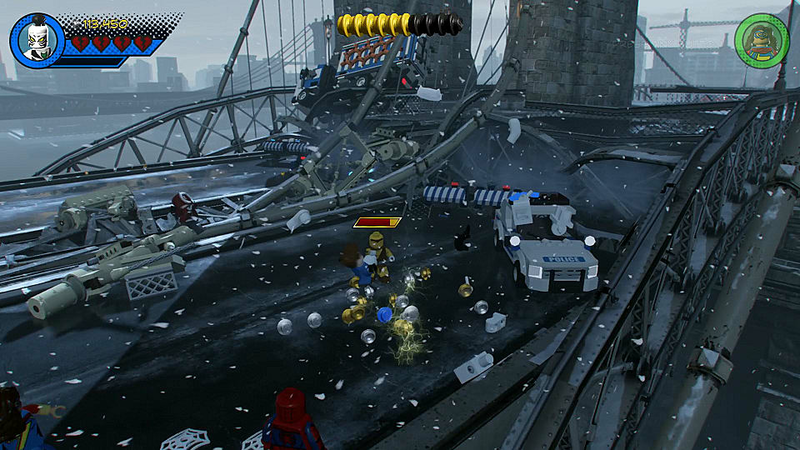 In the grand tradition of LEGO game gameplay, dying doesn't have consequences. Sure, you might drop a few studs, but you respawn almost immediately after, poised to pick them all back up again (and how difficult are studs to find in this game, anyhow?). And that's okay! 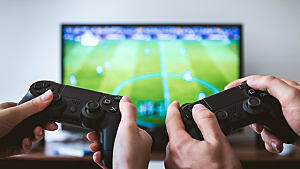 It's an integral, frustration-free part of playing a game that is as ideal for kids as it is for adults -- particularly if you're playing as a parent-child tag team. It certainly helps to mitigate some of the other frustrations of figuring out the puzzles -- not so much because the puzzles are so difficult to complete ... they're not. There is almost always a clear-cut solution as to what will unlock this door or that device ... it's just not always clear right away when all the pieces are already in place. Still loads of fun and well worth playing! 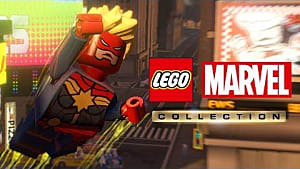 If you're a completionist at heart and looking to 100% this game, you'll find a good 200 hours or more of playtime buried in all the side quests, replays with various characters, and hunts for red bricks. If you're playing with a friend, even better! Many of the chase scenes and co-op fight scenes were designed with similar power sets in mind so that no one's left sitting around watching if you can help it. This game draws from hundreds of different stories and makes cheerful, light-hearted fun of them all. 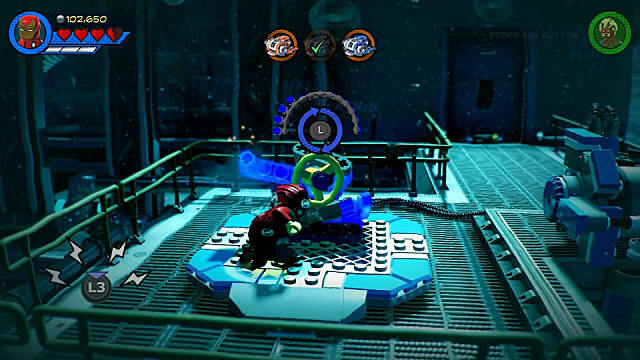 It's taken a newer, non-linear approach to questing (appropriate for a time-traveling, time-twisting game), and the charm of LEGO-ness hasn't quite worn off ... but the gameplay, after so many iterations without a great deal of variation, is beginning to wear. 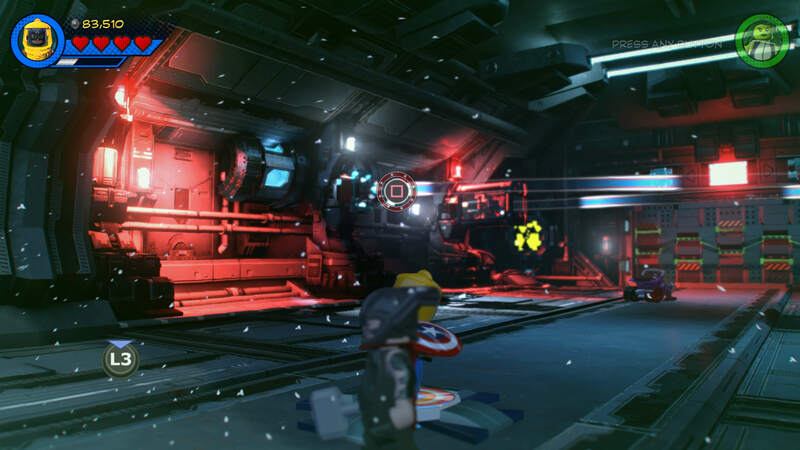 Whether you're a kid or an adult, LEGO Marvel Super Heroes 2 is a fun romp through time and space in typical brick-smashing LEGO fashion. 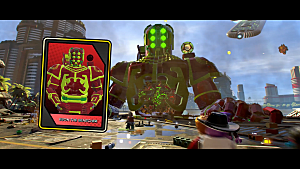 LEGO Marvel Super Heroes 2 Walkthrough Guide: The Guardians Save Xandar!